Comparing rent roll to paper and e-leases has never been easier than with HappyCo’s Lease File Audit software. Transform your audits process by taking advantage of the efficiency of hotkeys and the accuracy of a user-friendly interface. To Start your Lease File Audit, log in with your Unique ID, which will match with your company’s account and grant you access to their data. You will then be prompted to enter your name, email, and (optionally) phone number. This will be used to track progress and allow your team to view who completes each Unit. Green represents audits that are complete. Purple audits are ones that haven’t yet been audited yet. How do I find and select Units? You may have quite a few Units to scroll through, so to make it easier to start an audit you can enter the unit number in the search bar to filter the list. To make the process easier, when this page first opens the cursor will automatically be in the search bar ready to go, so you can jump straight into auditing. Select the unit you would like to complete, and the audit sidebar will expand. Go through each section and fill them out. What do the '!' and '*' icons mean? Items that have specific criteria will have an exclamation mark (!) next to their name. If you see any of these, be sure to hover your mouse over the icon to ensure you are entering the information correctly. Items with an asterisk (*) this indicates that it’s a required field, and you won't be able to complete the audit until they are filled out. You will see a running total of how many incomplete required fields there are in the complete button. If you need to add any additional notes for a section, click the Flag Notes button. These can be used to highlight any discrepancies or note any information that isn’t conveyed through the options. The Flag Notes will be included in the final Report. What If I need to add an extra Sections? 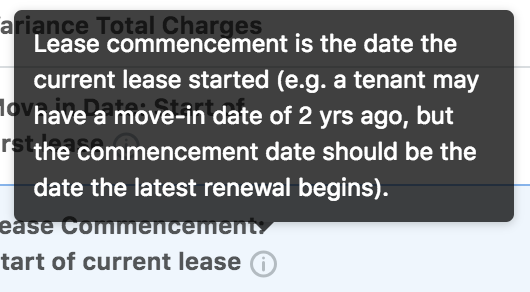 Some sections may allow you to add a duplicate section below, for example, if you have a second Leaseholder. To do this, click the blue ‘Add’ button and fill out the details. You can do this as many times as you need, to remove a section click the ‘Remove’ button. How do I complete a Unit's Audit? If at any point you would need to leave the audit and you haven’t finished, you can click the ‘Save and Close’ button, to save your progress. Once the audit is complete and there aren't any required fields to fill in, you can click the 'Complete' button to finish the audit, or you can use the tab key to complete this audit and automatically jump to the next one, holding shift and tab will take you back to the previous. This will save you a bit of time navigating from screen to screen, so you can fully focus on your audits. Can we have more than one User complete Audits at a time? Yes. You can have as many Users completing audits as you need. Just give them your ID Number and they can enter their details and start filling out Audits.